Are some police forces ignoring Clare's Law and failing vulnerable women? Listeners tell us about their positive experiences of the menopause. Plus shoes for women with big feet. Clare's Law, introduced in 2014, allows people to ask the police for information about someone they know and also enables the police to warn people who they believe may be in danger. But recent research conducted by the Bureau of Investigative Journalism illustrated a large disparity across England and Wales in how police use the law to protect women from violent partners. Those asking for information about their partner's record of domestic violence are 10 times less likely to receive it from police in some parts of the country than others. 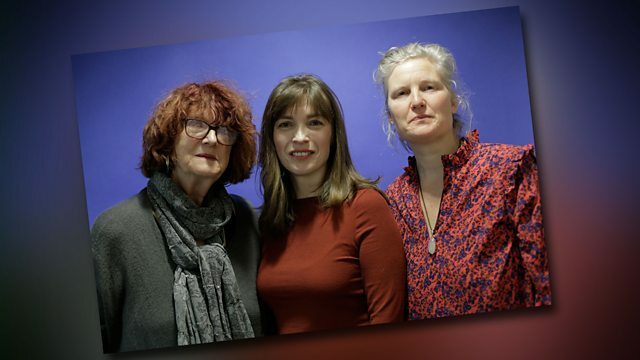 Sandra Walklate Professor of Sociology at Liverpool University and Deputy Chief Constable Louisa Rolfe, the National Police Chiefs' Council's lead for domestic abuse join Jane. Listeners tell us about their positive experiences of the menopause. What is it like to be a woman with big feet? And why is it so often depicted as a negative thing? Caroline Stillman and Tskenya-Sarah Frazer, who have both founded their own independent plus size footwear brands, tell us what impact their size has had on their self esteem and the change they want to see in the fashion industry. London's famous blue plaques link notable people of the past with buildings of the present. Around the capital there are around 903 plaques. Only 111 of these commemorate women. Author Allison Vale has written a book called 'A Woman Lived Here' to shine a spotlight on 56 forgotten female figures. What is it like to be a woman with big feet?